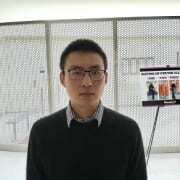 Borui is a PhD student at the University at Buffalo, focusing on the application and fabrication of plasmonic nanostructures. He joined Professor Manfra’s group as part of Microsoft Station Q Purdue in March 2019. As part of Microsoft Station Q, he develops the substrate for MBE growth.